In a space of 16.1 overs, India lost five wickets for 25 runs to move from a comfortable 314 for 4 to 339 for 9 before Ravichandran Ashwin (35 of 83 balls) made a useful contribution. 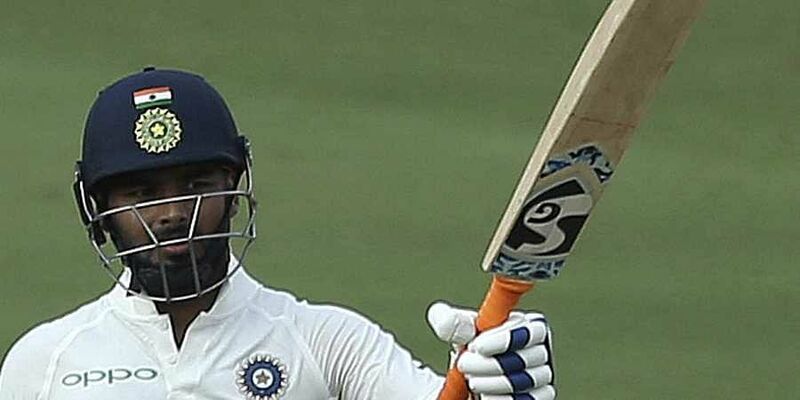 HYDERABAD: Rishabh Pant missed out on a well-deserved hundred for the second successive time as the West Indies came back strongly to bowl India out for 367 at lunch on the third day of the second Test here on Sunday. His innings, along with the last wicket partnership of 28 runs with an injured Shardul Thakur, could prove to be important in larger context of the match. India now have a first innings lead of 56 runs. West Indies captain Jason Holder (5/56 in 23 overs) used the second new ball to good effect as he completed his fifth five-wicket haul in Test cricket. Shannon Gabriel, after yesterday's erratic performance, came back well to take 3/107 in 20.4 overs. Holder first got one to rear up from back of length to shatter Ajinkya Rahane's hopes of a 15th Test hundred. The Indian vice-captain was caught at gully for 80 off 183 balls to give the opposition captain his third wicket. His innings had seven boundaries. The Rahane-Pant duo added 152 runs for the fifth wicket and once the visitors got the breakthrough, the floodgates were opened. Pant (92), who added seven more runs to his overnight score, got a short ball from Shannon Gabriel, which he pushed on the rise only to be caught by Shimron Hetmeyer at cover point. This time, he played 134 balls, hitting 11 boundaries and two sixes. Ravindra Jadeja (0) and Kuldeep Yadav (2) were quickly sent back by Holder to complete his five-wicket haul. He trapped Jadeja leg-before and sent Kuldeep's stumps for a walk. Ashwin, however, was ready to grind it out as debutant Shardul batted with groin strain. Despite feeling the pain, Shardul ran a few singles and patiently waited for the loose balls, hitting four boundaries. Brief Scores: West Indies: 311 all out in 101.4 overs. India: 367 all out in 106.4 overs (Rishabh Pant 92, Ajinkya Rahane 80, Prithvi Shaw 70; Jason Holder 5/56, Shannon Gabriel 3/107).